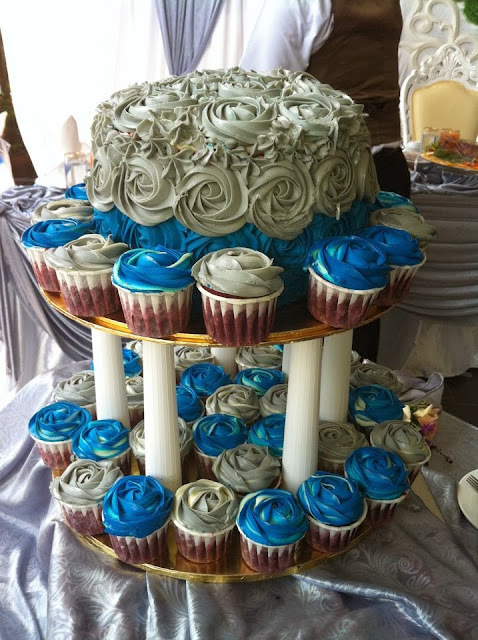 We have prepared numerous wedding cakes and there are things that you should know if you are interested of ordering one from us. 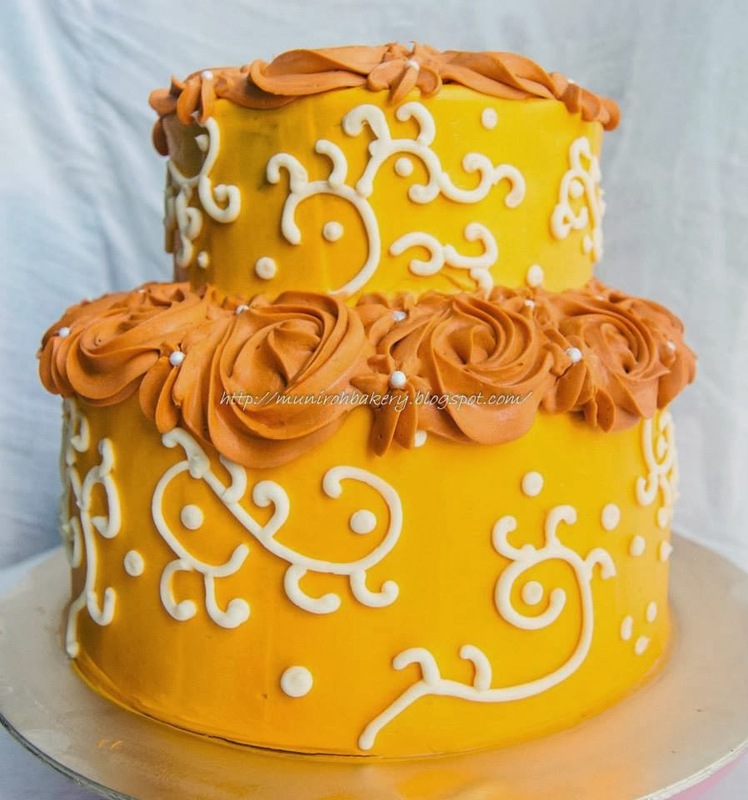 We only make buttercream and cream cheese frosting cakes, and we do not make fondant cakes. 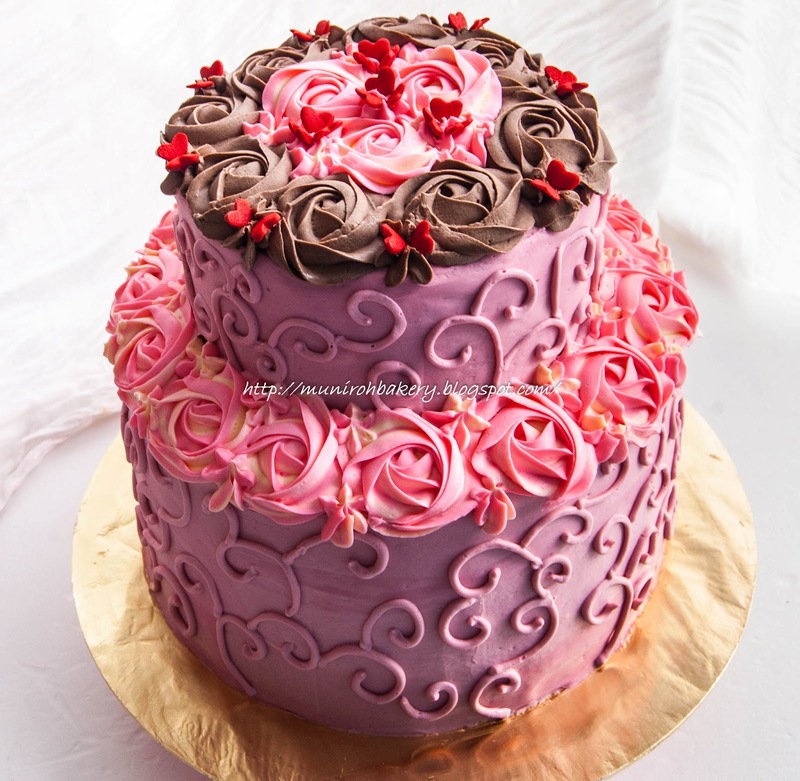 Thus the design would be limited to our signature roses, scrolls, ruffles and flowers. 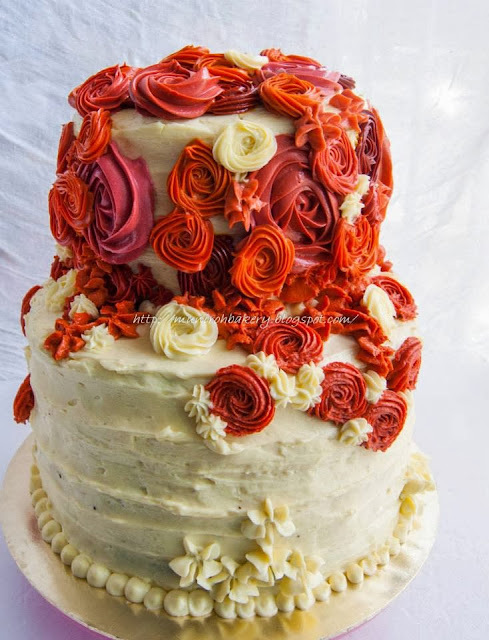 Cream cheese frosting has higher fat content compared to buttercream, thus we recommend this frosting for wedding cake as it can stand at the room temperature up to 8 hours. The frosting will become softer over time, but it won't melt thus the decoration will still be the same. If you are interested of ordering. There are certain things that we need to know before we can give you the quotation. 1. Date of the event - Let us know when the event will be as we limit our order and we would like to prioritize on your order. 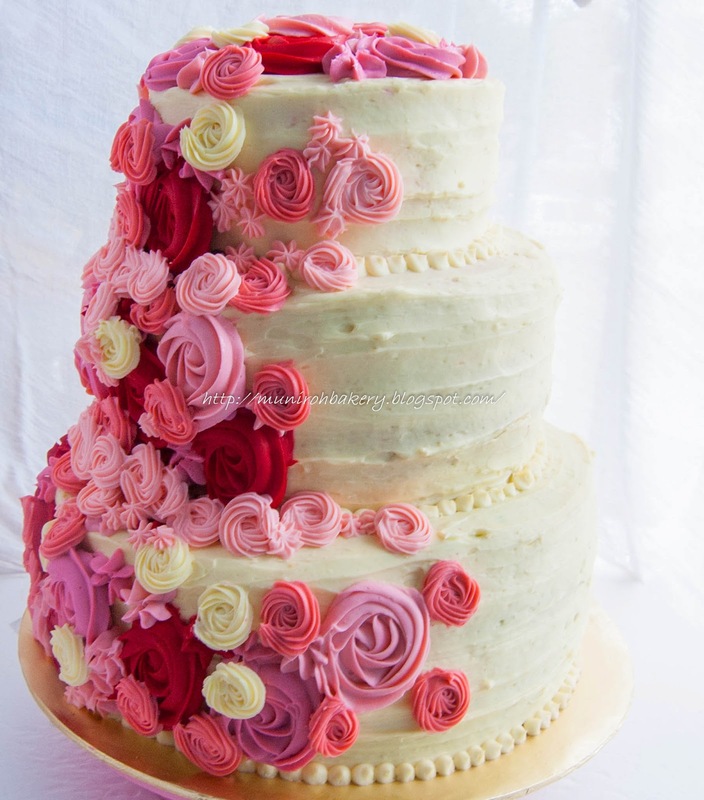 Making a wedding cake could take up to three days thus the earlier you give the date the better. Please refer to our Order Schedule for availability. 2. 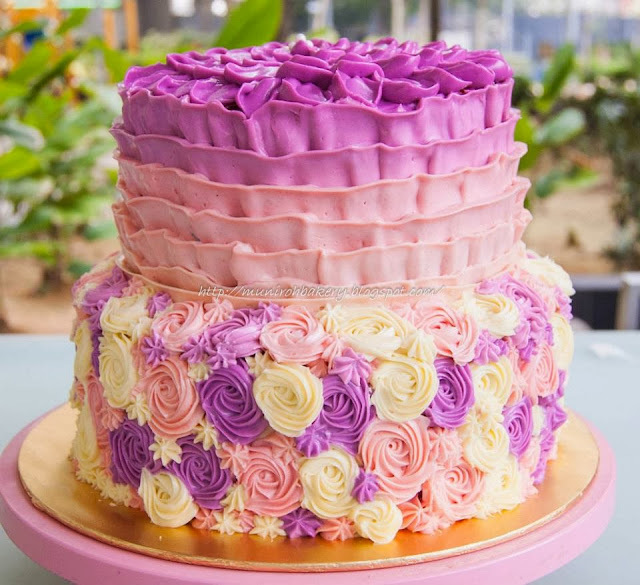 Serving size - It would be great if you could let us know how many people you are planning to serve the cake so that we can estimate the size. 3. Size of the cake - We have a small fridge and oven. 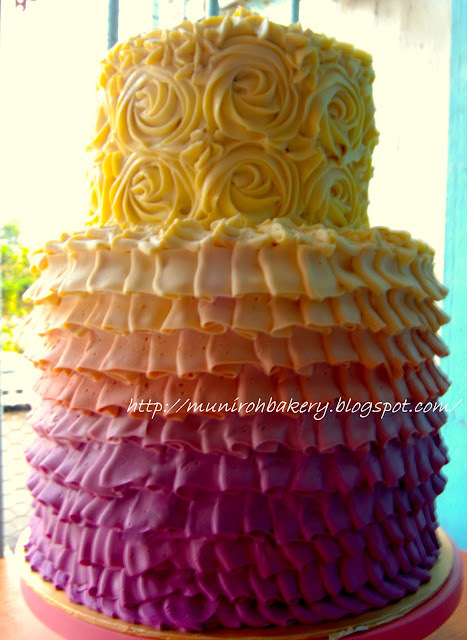 Thus the biggest diameter cake that we can make is 11" and the maximum height will be 12" . We need to know how many tiers that you would like, whether you would like barrel wedding cake or would like to stack them on pillars. We will provide plastic pillars and cake boards for those who want the pillars type. 4. 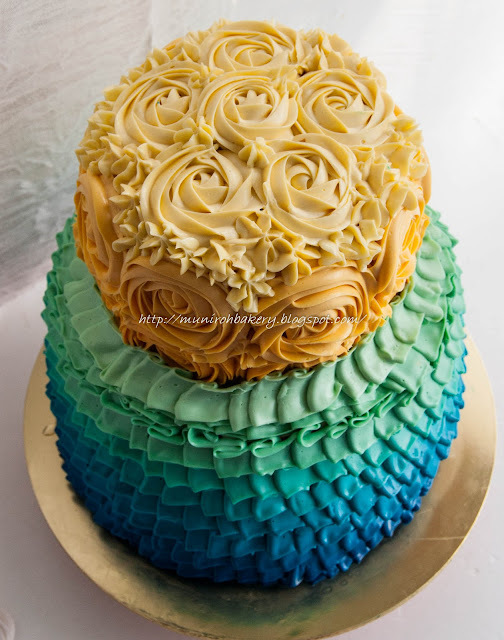 Cake and frosting flavor - We don't recommend cake with soft texture (like our dark chocolate cake) if you are interested of having barrel cake. As for the frosting, we will use plain cream cheese frosting if you want the decoration to be colored. The filling on the other hand can be any flavor that you want. You can refer to our Order Form for cake and frosting flavors. 5. Pick-up or on-site assembly - We only provide delivery and on-site assembly (with additional charge) within our area (Putrajaya-Kajang-Bangi-etc). Pick up location will be at our house and we will explain to you how to transport and cut the cake. 6. Within your budget - If you don't know what to order, let us know your budget and we will give several options for you to decide.